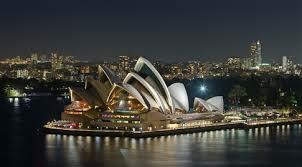 Without a doubt, Australia is one of the best travel destinations given its contrasting wilderness and metropolises. This is especially so if you have a couple of weeks to spare. By the time, you are done with the trip, you would have visited one of the most diverse ecosystems located in the Southern Hemisphere. It was originally established as a penal colony but has become one of the biggest cities in Australia that surrounds one of the world’s most natural harbours. The harbor itself has become an icon while playing host to venues such as the Sydney Opera House as well as Sydney Harbour Bridge. As for the part where the city meets the sea, you can visit Manly Beach which is an excellent casual surfing destination. Younger people will also enjoy visiting the Sydney SEALIFE Aquarium. This island is only a few hours north of Brisbane. It is well-known for being the world’s biggest sand island as well as a location that is renowned for its natural beauty. Beaches, winding creeks, freshwater lakes, rainforests, its colored cliffs and the green-blue Pacific. The entire island is contained within the Great Sandy National Park with Lake McKenzie being one of its main features to look out for. Accommodation can sought at the Kingfisher Bay Resort while tours are offered by Tasman Ventures. This city is located 900 km from Sydney and is located on Australia’s East Coast. Not only can you enjoy a thriving nightlife but also a shoreline of white sandy beaches as well as dense and wild rainforest. You can visit Burleigh Heads to get a glimpse of the city’s coastal Life to enjoy swimming and surfing if you wish so. Also, there are forest-covered hills in the form of the Springbrook National Park that is home to a diverse ecosystem of plants and animals.